Botanists at the Northern Territory Herbarium have teamed up with the University of Edinburgh and California Academy of Sciences to crack the genetic code of Top End cycads. 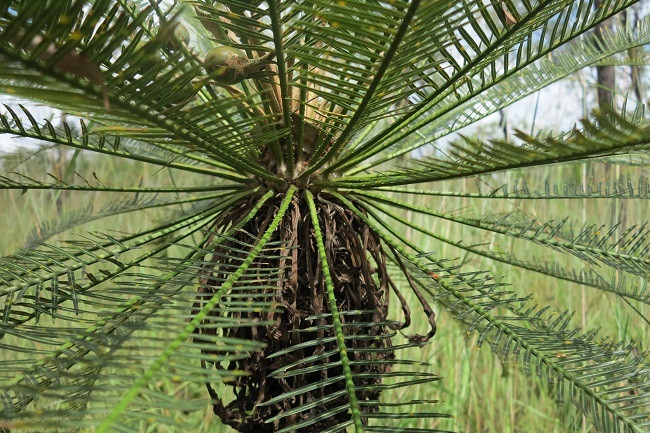 Cycads have outlived dinosaurs and the Cycas armstrongii species can be found from Cobourg Peninsula and Tiwi Islands in the north, and extending as far as the Litchfield National Park in the south. Northern Territory Botanists have collaborated with an international team and are sending Cycad specimens to the California Academy of Science for genetic sequencing using a range of newly-developed, sophisticated Next Generation techniques. These techniques characterise large parts of the genome and allow wider comparisons to be made between different populations or species to identify the differences, if any, between them. The DNA of the Cobourg Peninsula cycad population will be compared to the DNA from the other populations from around Darwin and Litchfield. Researchers from the University of Edinburgh are supporting the research by working out what parts of the genetic code may be useful in identifying differences between species. The results will call for new conservation assessments for new and old species. Further reports of cycads from the area from Traditional Owners are hoped to be followed up to help gain a better understanding of the distribution of these iconic but relatively poorly understood plants from the Top End. Go to https://nt.gov.au/environment/native-plants/native-plants-and-nt-herbarium for more information about the Northern Territory Herbarium.